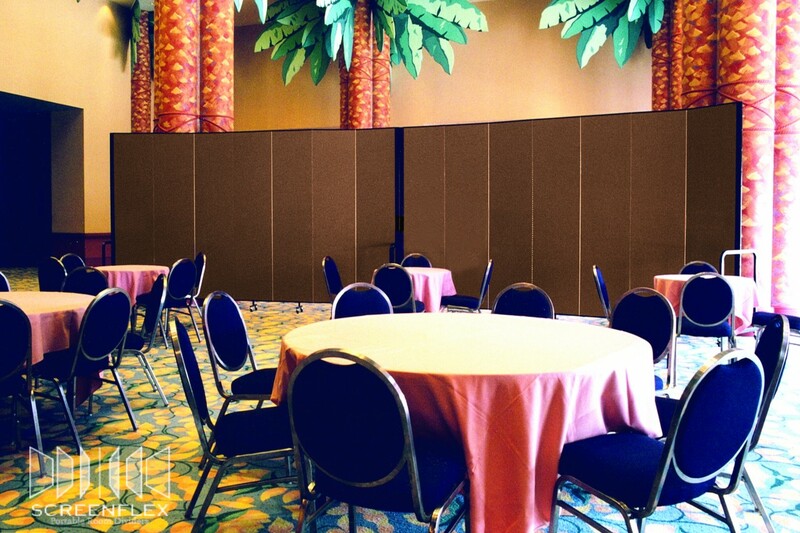 Uses: Banquet Hall, Hospitality Lengths: 7 panel 13'-1" Heights: 6'-0"
Sturdy, durable and long-lasting, Screenflex portable walls are available in 36 heights and lengths and 38 Colors choices. Units ship fully assembled and ready to use. Manage the space in your facility with Screenflex. Call us today at 800-553-0110 for a quote or to get a list of customers in your area.